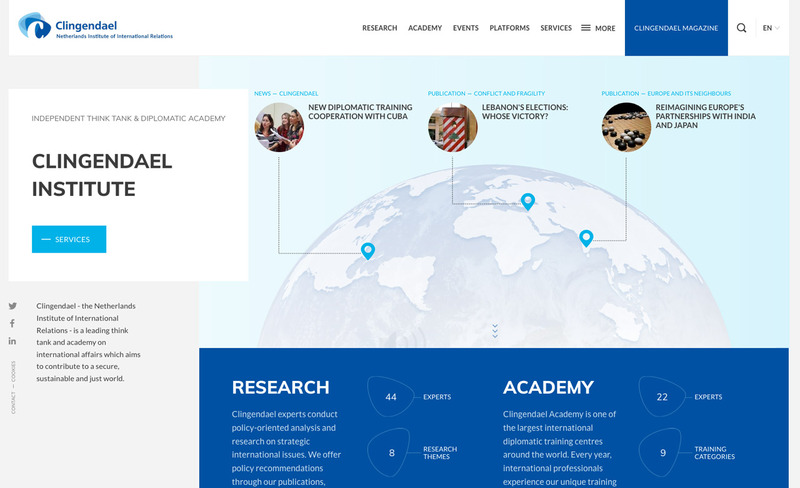 Clingendael - the Netherlands Institute of International Relations - is a leading think tank and academy on international affairs which aims to contribute to a secure, sustainable and just world. The new corporate website is dynamic and gives an good insight of the organization. Some design shapes are based on the Clingendael logo. The 'Clingendael shape' is used throughout the site. Furthermore, the site is user friendly and suitable to react on current global problems.